Security camera systems are everywhere nowadays. Not only do you see them in government buildings, such as post offices and court houses, both small and large commercial businesses and even in and around various residential homes and neighborhoods, but they are also important in an industrial setting. Although there are some differences between the security systems that are put in place in each type of building, the idea of each of these systems is generally the same. There are a lot of reasons why security systems should be utilized in industrial settings, so you might want to consider learning more about them if you own, manage or work in an industrial building yourself. What are Industrial Security Systems? Industrial security systems are systems that include all of the necessary equipment in order to keep an industrial building as safe and secure as possible. These systems will have many of the same components as a more standard security system that is used in a home or small commercial business, such as various security cameras and a digital video recorder in order to record and watch the footage. However, you might need extra equipment in order to keep your industrial building as safe and secure as possible, such as a keypad that allows entry to the building or a card slot where a badge must be swiped. Basically, any components that you need to keep your building secure will be a part of your security system. What are Industrial Security Systems Used For? • Safety – Safety is always incredibly important when it comes to industrial buildings, and a security camera system can help you to keep all of your employees — as well as everyone else who enters the building — as safe as possible. If you have security cameras in place, you can keep an eye out to make sure that everyone is following safety rules, and you can enforce these rules accordingly if you know who to talk to and if you have footage as proof. You can also use these cameras as a means of catching accidents and problems before they get too serious; in fact, you might be able to prevent something pretty serious from happening if you have a good security camera system in place. • Productivity – Keeping productivity up is very important; if you have employees on the clock who aren’t doing their share, your company is losing a lot of money every minute and hour. If you have cameras in place, however, people will be more likely to get their work done as they are supposed to, and you will be able to crack down on employees who aren’t doing what they should be. • Enforce Rules – Every business has rules; without them, it will be difficult to run your industrial business properly. It can be hard to enforce rules when you have hundreds or thousands of employees, but having cameras in place can help you keep an eye on who is doing what they should be and who is breaking the rules. Then, you can use the footage from your surveillance cameras to do something about the rules that have been broken and to approach the employees who aren’t doing what they should be doing. • Employee Theft – Although you might not realize it, employee theft is a lot more common than many people think, and your industrial business could be losing a lot of money because of it. If you have surveillance cameras placed in the appropriate areas, however, you can watch out for employee theft and finally do something about it. • Burglary – Someone breaking into your industrial building and stealing can be detrimental to your company in a lot of ways. If you have cameras installed in and around your building, however, you can often deter people who are thinking about robbing your building. 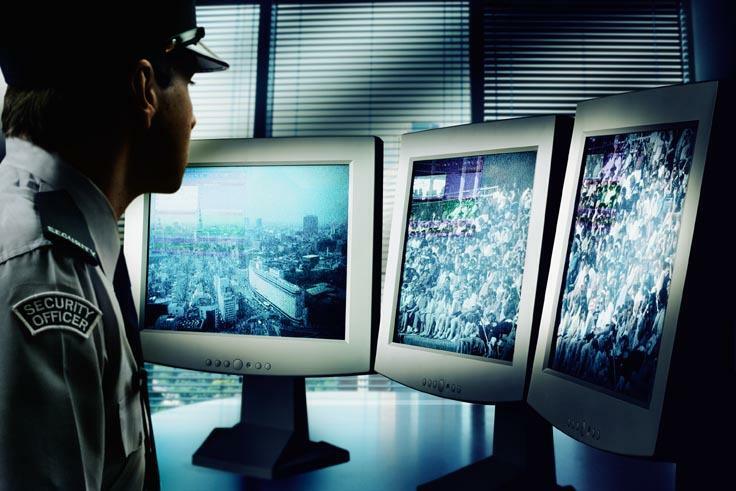 Even if they do get brave and attempt to do something, your surveillance camera footage can help the law enforcement officials in your area to catch and prosecute the person who is responsible. • Vandalism – For some reason, a lot of industrial buildings are subject to vandalism, which can be costly to clean up and can give your business a bad overall image. Your surveillance cameras can help cut down on this type of crime, however. • Limit Unauthorized Access – You probably don’t want just anybody to be able to enter your industrial building any time that they want to, but having surveillance cameras and other security-related equipment in place can help you cut down on unauthorized access and can make it possible for your security guards or other employees to do something about it. Does Your Property Need an Industrial Security System in South Florida? Every industrial building needs some form of security installed; therefore, you need to look into security camera system installation as soon as possible if you haven’t already. There are a lot of different options in all different types of price ranges, so you shouldn’t worry about money; if you talk to the right security-related professional, you should have no problem getting the security camera system that you need at a price that you can afford. What Are the Components of an Industrial Security System? • Security Cameras – Security cameras are going to be one of the most important parts of your surveillane camera system. You will need multiple cameras for both indoor and outoor use in order to truly keep an eye on things like you should, and you might want to concentrate special attention on certain areas, such as where expensive items are kept and near the entrances and exits to the building and property. • Digital Video Recorder – A DVR system is an essential for recording, storing and watching the footage from your surveillance cameras. • Burglar Alarm – Having a burlgar alarm in place can help you keep people out during the hours when your industrial building is closed, and you can also use these alarms to keep certain parts of your building off-limits. You can even set up your burglar alarm so that it is monitored by a security company that will contact you and the local authorities in the event that the alarm is triggered, such as by someone breaking in. One of these systems can help scare away a would-be criminal and can also help ensure that the police or other officials get to the scene as quickly as possible, allowing them to actually be bale to do something about the situation. • Other Security-Related Equipment – Along with cameras and a DVR, you will probably also want to install other security-related equpiment, such as a keypad to access the building, security lights and more. These extras will depend a lot upon the size and type of industrial building that you have and the type of security that you want. Where Can You Find an Industrial Security System? There are lots of places where you can go to look for industrial security systems, but you probably want to make sure that you get the best one that you can. Therefore, you will more than likely need to talk to someone who specializes specifically in selling security-related equipment. If you are looking for industrial security systems in South Florida, your best bet is and always will be Tech Pro Security, a company that is known for providing its customers with the best security systems for their needs, no matter what they need them for. How Do You Install an Industrial Security System? Installing a simple security camera system in the home is a breeze for many people, and a lot of individuals choose to do their own installation. This might not be the case in a large industrial factory, warehouse or other similar building, however, but you will luckily have options. If you purchase your system from the right security-related company, you should be able to get affordable installation along with your system. Although it might seem a little bit overwhelming to look at all of the aspects involved in installing an industrial security system in your building, it is definitely something that you should consider looking into for a variety of reasons. By contacting a reliable security system retailer, you can find out more about the systems that are available, and you can also learn more about what is involved in installing and using one. If you talk to the right person from the right company, you are sure to find that installing an industrial security system in South Florida is an excellent idea that will be relatively easy for you to pull off, and you are sure to be glad that you have this system in place when you begin to reap the benefits of having it.